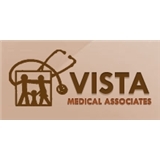 Vista Medical Associates (Las Vegas) - Book Appointment Online! With our concentrated training in family medicine, we have the expertise to promptly diagnose and treat most acute medical illnesses, as well as chronic diseases such as hypertension, diabetes, elevated cholesterol, asthma and congestive heart failure. We also treat musculoskeletal illness, such as chronic back pain (both malignant and non-malignant). The office seemed filled with people waiting for pain medication or some kind of drugs. Lots of pacing and twitching and signs all over the place saying that he will only prescribe pain meds every 2 weeks instead of every month. I had to fill out paperwork saying that I wouldn't abuse any drugs prescribed and asking if I've ever had a problem with prescription pills before (I didn't mind it, just thought it was odd). Dr. Sarfo, himself, was very personable and seemed confident in what he was doing. I'm coming back in a week for a check up. I would recommend him if asked!